The Kuklapolitans' television career began with the premiere of Junior Jamboree (soon renamed Kukla, Fran and Ollie), on October 13, 1947. But the story of the Kuklapolitans begins over ten years earlier, when Burr created Kukla for a friend and couldn't part with him. In the articles on this page, and in the book excerpt below, you'll find many more details, including the oft-told story of Kukla's naming, his success with Ollie at the New York World's Fair, and the behind-the-scenes scoop on how an ad-libbed show was created each day. After a ten-year run in the 50s, the Kuklapolitans left the air, a victim of the questionable ratings services of the time. But they were rarely out of the public eye, appearing in a short daily show on NBC, starring on Broadway, hosting The CBS Children's Film Festival, creating a series for PBS, performing in Side by Side by Sondheim, and presenting annual live performances at the Goodman Theatre in Chicago. The Kuklapolitans can also claim some important television firsts, including the first ship-to-shore telecast and the first color telecast of a network program. Burr was inducted into the Television Academy Hall of Fame in 1986 for his many contributions to the medium. Click on a magazine cover to read the article. Burr goes on record regarding his intended audience. finds Christmas to be the warmest season of the year. Fran forgets that Kukla and Ollie aren't real. Burr sets the record straight about why the Kuklapolitans left NBC. 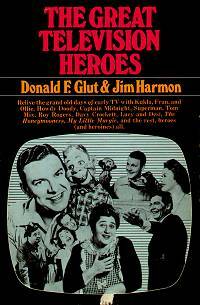 ...along with some observations on the state of television from his friend Burr Tillstrom.